^ Church Crookham.co.uk. 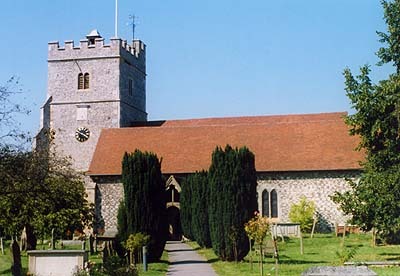 "Church Crookham: A pleasant village in Hampshire, England". Retrieved on November 28, 2006. ^ Hantsweb. "A Little Local History". Retrieved on November 28, 2006. ^ "Defending Chequers Bridge". Pillbox study group. Retrieved on 2007-02-02. ^ Fletel Business Services. "Queen Elizabeth Barracks - Plans and protests". Retrieved on November 28, 2006. ^ Tailor Woodrow (2002). "Bryant Acquires Major Brownfield Development Site". Retrieved on November 28, 2006. ^ House and Hound (2006). "BEF says Greenwich will work in 2015". Retrieved on November 28, 2006. ^ News.com.au. "Licence to thrill". Retrieved on November 28, 2006. ^ Guildford Diocese. "Aldershot Deanery > Crookham". Retrieved on November 28, 2006.